Fantastic news if you like to enjoy a glass of wine or a cold beer: You’re apparently one of the smarter people in the world. 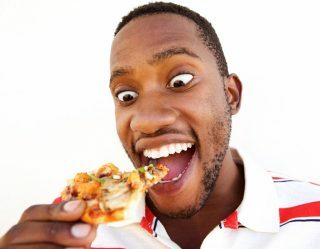 While drinking alcohol in excess is often stigmatized as a bad thing, a study from the London School of Economics seems to suggest otherwise. That’s because research recently revealed those who drink often are more intelligent than their non-drinking counterparts. 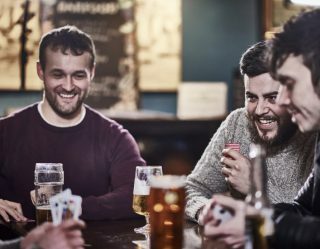 Researchers followed thousands of people born in Britain during one specific week and analyzed both their daily drinking habits as well as their level of intelligence by conducting routine questionnaires at various periods throughout their lives. 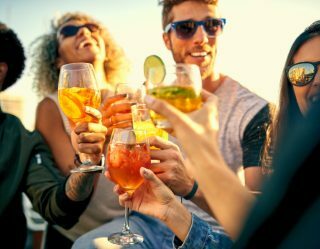 After comparing the data, they discovered those with a college degree were twice as likely to drink heavily in comparison to those who had a lower level of education. “The better-educated appear to be the ones who engage the most in problematic patterns of alcohol consumption,” stated the report. The study conducted by the London School of Economics isn’t the first research to suggest heavy drinkers are more intelligent either, as findings from the National Child Development Study in addition to research analysis completed by a group of Finnish researchers have also discovered similar patterns. So no need to feel guilty about downing a handful of brewskis after a long day at the office, as you’re clearly just flexing your brain power.